WHY REINVENTING BEING IN NATURE? We just love nature and all the benefits that come with spending time outdoors anytime of the year. We love to simply enjoy fresh air and take a break from heating and air conditioning. We also love how we can try to find transcendental answers and solutions for those questions and issues that constantly roam in our minds. Many times we just need the appropriate space to get them resolved while finding inner peace and happiness along the way... Nature can offer all of that! Whatever the reason might be, we invite you to rediscover nature with us... conveniently, comfortably and affordably... regardless of your fitness level. At Twilight Forest we would like you to reinvent being in nature! EQUIPMENT RENTALS - a convenient and affordable way to have a lot of fun! Spend your money on other things - Renting a bike or a kayak allows you to save money to be able to spend on other things that are very important in your life, while still enjoying all the fun of being outdoors biking or kayaking anytime you want. Eliminate the hassle of taking a kayak or a bike around - We are fully aware of what it takes to carry gear around... you need a car... and a rack for your car... and the money to get them... and the speace where to store them... and the strength and time to mount them, secure them and unmount them after you have a lot of fun while biking or kayaking... and when you get home... you need to clean everything and put it away... Wouldn't it be so much more convenient to just show up and have your bike or your kayak ready to roll, have fun and when done, simply return it and take off to enjoy all of the other things you love doing in your life? Make your booking comfortably at home - We love flexibility and know that time is never our friend! For that reason, you can book your bike or kayak online and select the time you would like to meet us at to start a journey full of fun as well as the duration of your adventure. EQUIPMENT SALES - An awesome way to own the fun! You may fall in love with our Bikes and Kayaks - if you love them so much and would like to own your gear, then try our E-Store so you can get what you love and can take it anywhere you want and anytime you want! 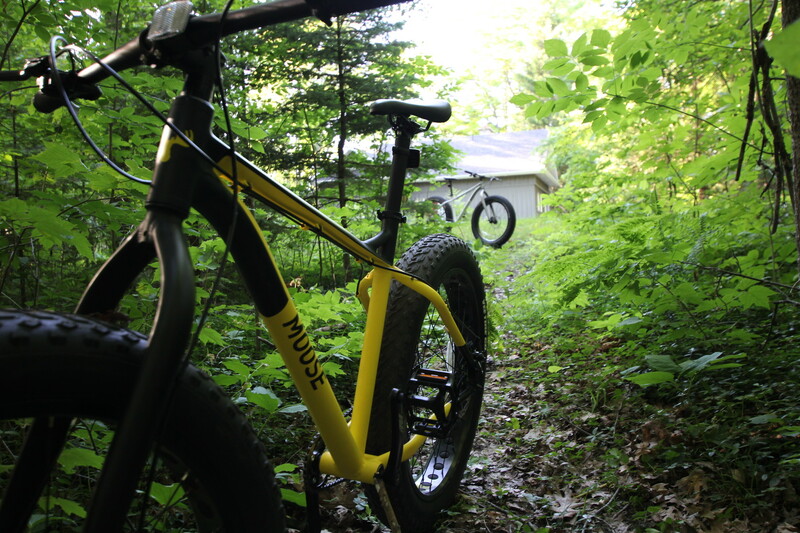 Exploring beyond your neighborhood or our location - If you are into roaming around and love to discover new places well beyond your neighborhood or our location all the time, then you may seriously consider to own your bike or kayak to take it anywhere at anytime. We offer home delivery of your gear. On-going support and service - We know our journey does not end when you buy a bike or a kayak from us... we will be there for you to tune it up and service it regularly to keep it in the best shape it can possibly be, so you can spend your time doing the things you love in life!